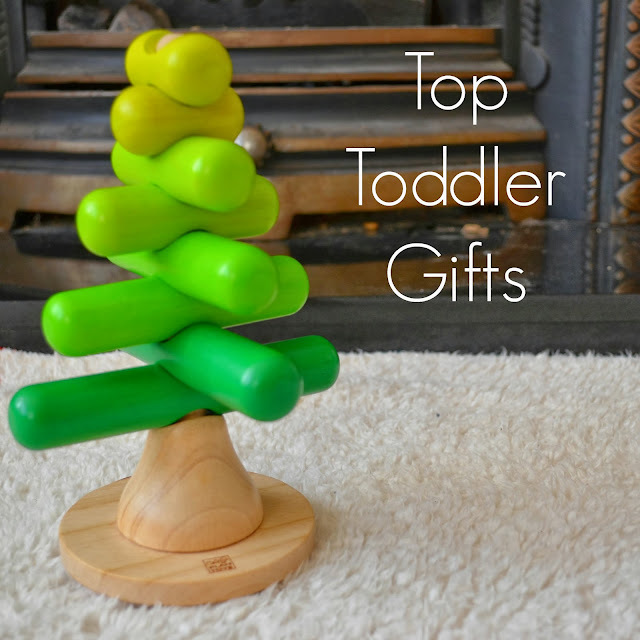 With a two year old toddler in the house, we are on the look out for the perfect Christmas gifts and we have been busy testing some top toys that will be hitting wish lists this year. I am delighted to share with you some lovely gift ideas that we have personally tested, and I would love to hear what you would add to this list? Here are our top ten . . .
As toddlers grow more independent and imaginative in their play, giving them their own little space is such an amazing gift and my little man is more than a little obsessed with his 'rhyme rocket' (yes, he loves that terrible cbeebies program). The tent is so easy to put up, I am talking 3 minutes max, and it is resilient enough to cope with my two boys no problem. 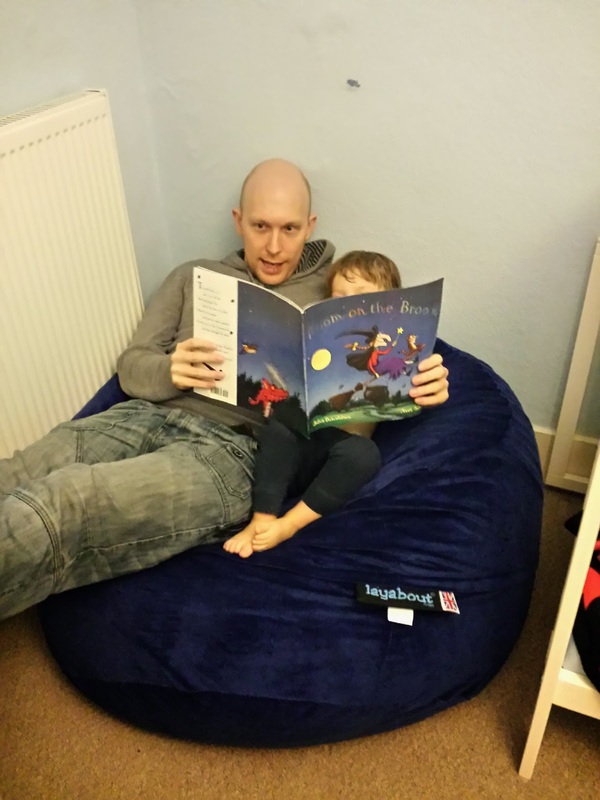 We have had plenty of story times in the tent and Dylan loves flying to the moon. This tent folds lovely and light into the bag included and is easy to pack away when you don't have space. I love the opportunities with this, the way it encourages and adapts to different games and that it will last a long time. 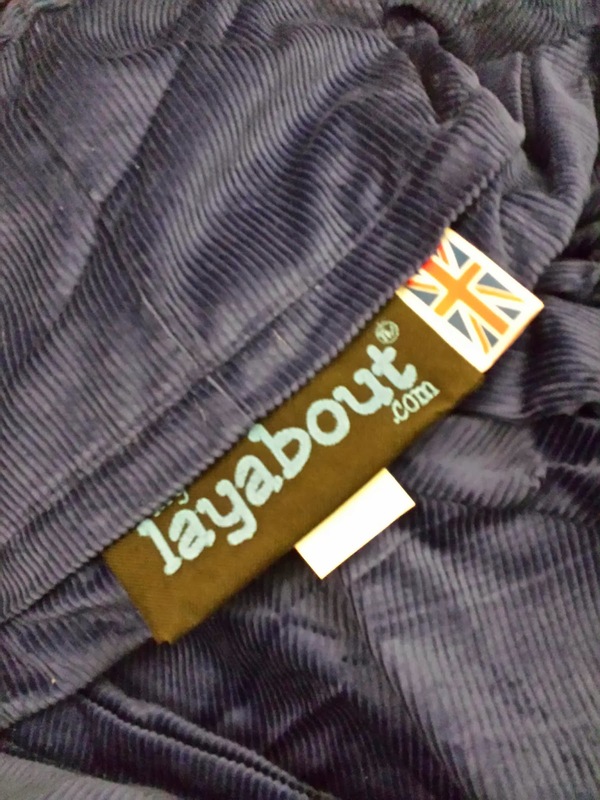 This Rocket Pop up Tent is available from GLTC.co.uk for the bargain price of £25. We love this website and I do think this is great value. A toy that kids (both big and little) will love is this amazing multi-functional fire engine book. I have quite honestly never seen something like this before and I can't believe how well it works, it will certainly be coming away with us for any holidays or trips as it is 3 entertainments in one! You can read the story in traditional book form, but can also open the book out to create a long road for brumming your own toy fire engines around on. When that fun is over though, the book folds and goes together to make your very own fire engine - open the door, climb in and be a fireman! Dylan loved this book in every form and had great fun opening the door, climbing in and pretending to drive around. 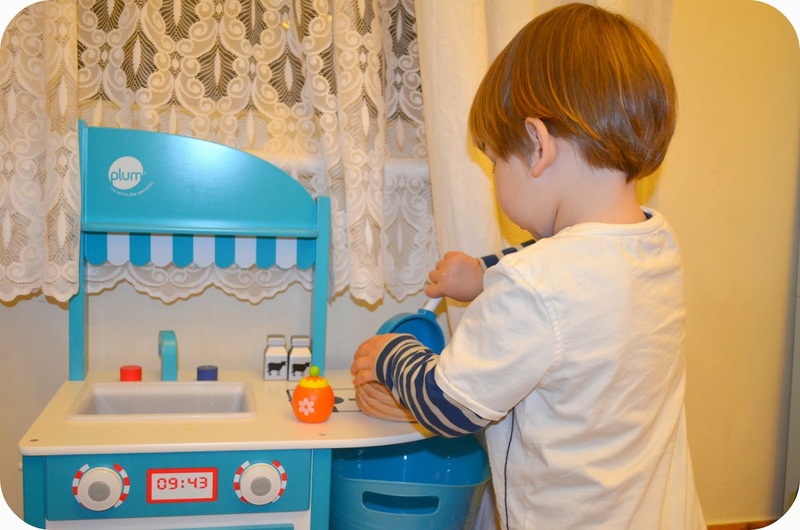 At 27 months his imagination is an amazing place and this is a perfect toy to encourage and nurture it. I have already written a review for this kitchen but as I know there are so many toddlers with play kitchens on their lists to Santa I felt this needed to be included again. This is perfect for a little boy or girl in a classic blue and a great size even if you don't have a lot of space. I think it may be the most played with toy in our house. 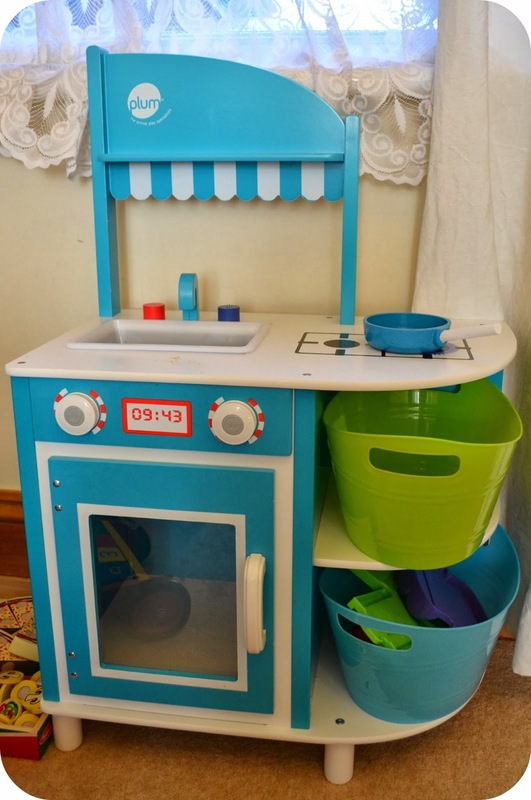 The little features, like the knobs on one side for hanging tea towels, and the saucepan that is included make this a great little play kitchen. Every toy kitchen needs some accessories and I cannot believe the quality of these gorgeous wooden sets from Kiddicare as they are fantastic value and currently on 3 for 2! We were sent a wooden tea set, a wooden saucepan set and some wooden cut and play fruit and all three sets are used daily. Dylan loves cutting and preparing his meals and I drink so much pretend tea everyday that I can't always face the real stuff! All toys are 3 for 2 until midnight Monday 1st Decmeber so get your order in soon! These toys are perfect for children who will be getting a little toy kitchen but equally so for those without and I loved the fact that the tea set is lovely neutral colours. I couldn't get a photo with the cups as we were roo busy drinking from them! We attended a lunch at the Baby Show with Fisher Price and learnt a lot about how babies learn. Play is the most important way for them and this tool bench has several functions that both boys have been enjoying. Archie loves the lights, colours and songs and Dylan has been mastering a hammer and singing along with his ABC. From developing motor skills to improving language, this toy is great from around 12 months upwards and focuses on colours, shapes, numbers and letters. You may have noticed my slight love for wooden toys, and I love the simplicity of this stacking tree from Plan Toys. It is designed for children 2+ but I see no reason not to introduce it a little earlier as it is great for improving co-ordination in younger children. I was surprised at quite how much my little dude has taken to this but he loves organising the green stacking branches by size and colour and has been making shapes with them too. It is perfect for discussing size and shades and makes a gorgeous decoration for a woodland themed nursery or for the living room at Christmas time (ours is sat proudly on the fire place) Made from ethically sourced wood, this is one of those classic and timeless toys that you just can't go wrong with. Trunki have been a huge name in the toddler world for some years now, but they are always making new products and collaborating for some great character toys too. Moshi Monsters are the latest craze, and Trunkis are now available in two fun designs, Poppet and Katsuma. We were sent an Orange Katsuma Trunki and Dylan has loved riding round on it and packing up his 'special things'. It is perfect for short breaks and holidays as it is within the hand luggage size, but is equally great as toy storage/ a ride on toy for everyday use. So those are our top picks, what is on your toddler's wish list this year? Disclaimer: We were sent the above products free of charge but all thoughts and opinions are completely my own. Pop up play tents are wonderful and have such longevity. I am completely in love with the wooden kitchen though. Will always regret buying the cheap plastic one!! Some lovely ideas! Yes Wendy house / Tents are great Katie had one for her 2nd birthday and still plays in it now at age 4. Loving the fire engine book and cheaper than I expected so many versions available both on their website and places like amazon, definately a Christmas buy.